Business. Leisure. It doesn’t matter. Pullman Bangkok King Power is your hotel in Bangkok. A haven of calm in one of the world’s most exciting cities. A lifestyle hotel that truly gives you a ‘resort in the city’ experience. Our cutting-edge hotel provides guests an exceptional blend of elegance and comfort complete with gracious Thai hospitality. Using Pullman Bangkok King Power as your base, we are your gateway to finding perfect experiences in the City of Angels. Discover a hotel in Bangkok with visionary design and simplistic elegance in the heart of the city. A hotel in Bangkok that is dynamic yet timeless. Pullman Bangkok King Power is simply the best hotel in Bangkok. A hotel in Bangkok that matches the lifestyle of new generation of connected travellers. With its new concept of ‘Our World is Your Playground’, blending efficiency with enjoyment. . Pullman Bangkok King Power is designed to be whatever you need it to be. Pullman Bangkok King Power understands what guests want; a hotel in Bangkok with perfect rooms. Every one of our beautiful 354 rooms and suites effortlessly combines design influences from East and West which leads to a modern contemporary Asian style. An air of calm enables guests to relax or work. The 354 rooms and suites in Pullman Bangkok King Power are equipped with up to the minute technology to support the cutting-edge lifestyle of today’s modern business and leisure travellers. Fully equipped with the latest IT equipment, flat screen smart TV and complimentary high-speed Wi-Fi mobile network, you can be sure you will always be connected to the world in the best hotel in Bangkok. It could never be the best hotel in Bangkok if it wasn’t in the best location. 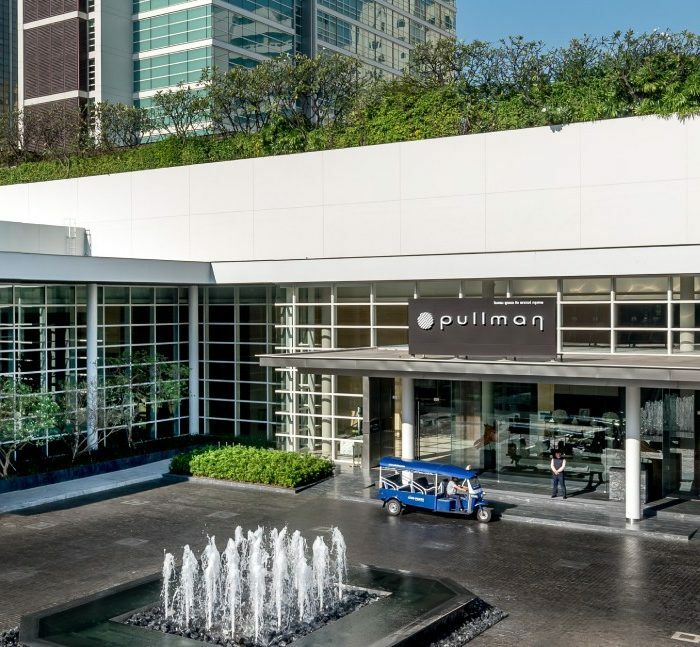 Pullman Bangkok King Power is located next door to the King Power Duty Free Complex in the thriving heart of Bangkok, perfectly situated in one of Bangkok’s premier business and shopping areas. With the BTS Skytrain and Airport Rail Link only moments away, guests have easy access to everything Bangkok has to offer at any time of day in just minutes. Pullman Bangkok King Power has the best staff of any hotel in Bangkok. They will anticipate every need you may have, and you will always receive individual and personalised service with the utmost discretion. Whether global nomads are visiting for business or leisure, our upscale hotel in Bangkok offers faultless facilities throughout. With the refinement and elegance that typifies traditional Thai culture, our unrivalled Pullman Spa has been carefully designed to exclude the vibrancy of the city outside. Choose from a spectacular range of extravagantly indulgent treatments based on the ancient healing traditions of Asia in an exceptionally elegant setting. Take respite from the excitement and noise of the city in one of our private spa suites and let your stress disappear with our signature treatments at the best spa in Bangkok. For those who like to remain active whilst travelling, our hotel in Bangkok also offers a fully-equipped fitness centre. Pullman Fit has been designed to enable you to totally relax yet still maximise your workout. Our gym will help you achieve your fitness goals via a range of contemporary exercise equipment. And after your workout guests can take a refreshing dip in our stunning outdoor pool – the largest infinity swimming pool in the city. Rest assured that, whatever your fitness needs and goals, Pullman Bangkok King Power is there for you. 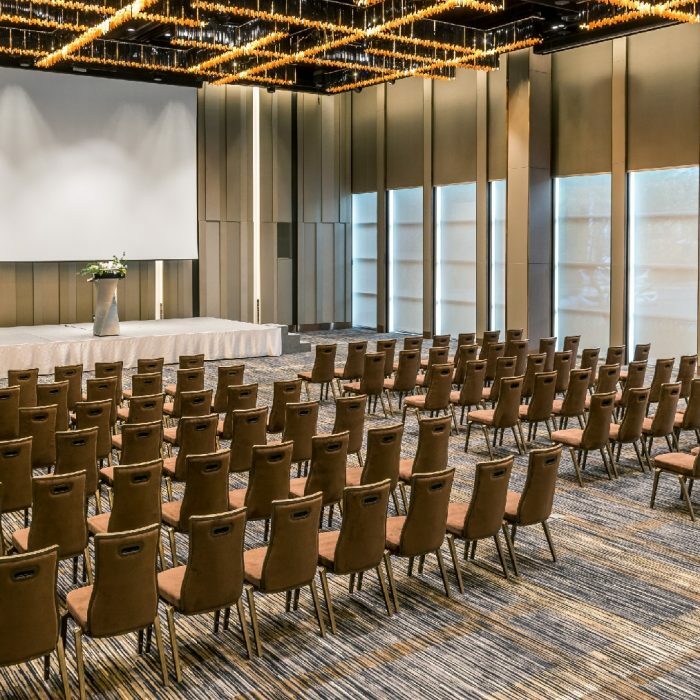 Pullman Bangkok King Power is the leading hotel in Bangkok for all meetings and events, whether it be for a major corporate conference, confidential business meeting, grand wedding or any other type of function. 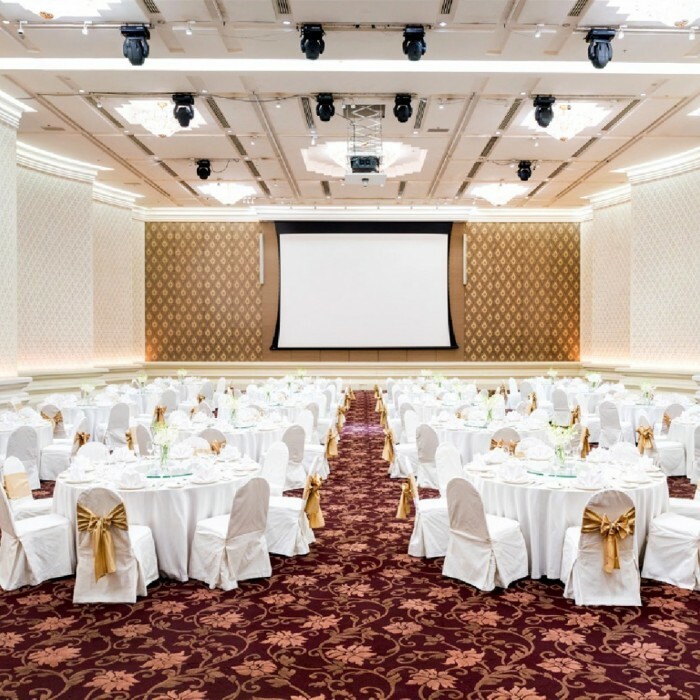 Simply put, our 20 sophisticated and elegant meeting rooms, including 2 spectacular ballrooms, provide an ideal venue for both large and small events. And to give you the ultimate peace of mind, every single event is personally attended to by our professional meeting planners and specialist IT team to ensure a flawless event each and every time. Designed by the internationally-accredited architects and interior designers from 49 Group Thailand, Pullman Bangkok King Power exudes sophisticated style with its simplistic elegance and chic touches; a hotel in Bangkok like no other. Pullman Bangkok King Power has received several awards and certificates for the excellence of service, such as the Thailand Tourism Standard, Kinaree Award, MEA Energy Saving Building Award, Top 10 Best Hotel in Bangkok, Green Hotel Award, Gold level and countless more. 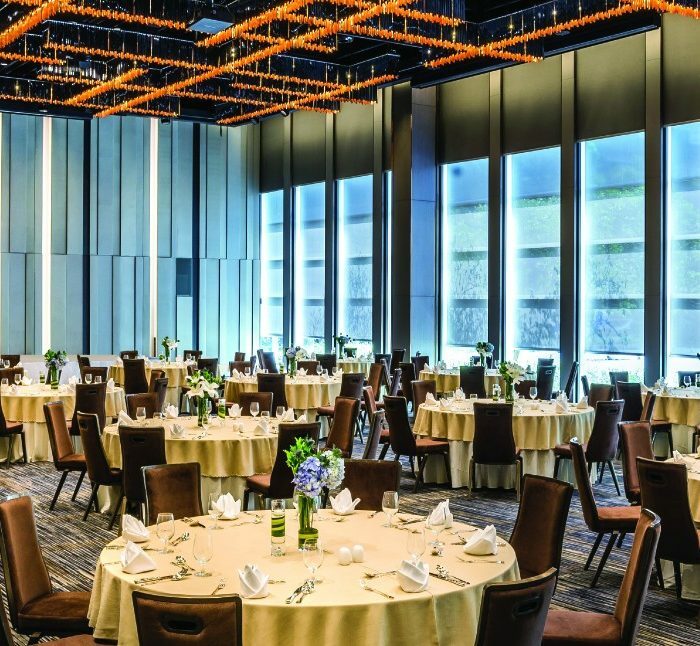 Over the years, Pullman Bangkok King Power has been setting the gold standard for service and efficiency as awarded by guests and accredited organisations. At Pullman Bangkok King Power guests can embark on a culinary journey through our selection of diverse eateries. It is safe to say that our hotel in Bangkok is one of the city’s leading fine-dining destinations, serving guests traditional Thai, innovative Japanese and other Asian flavours alongside an exciting range of the best international cuisine. Simply put, if you are looking for a hotel in Bangkok that hits new heights in culinary pleasure, look no further than Pullman Bangkok King Power. There is certain to be one of our refurbished restaurants and bars that will provide the captivating dining experience you are looking for with our exquisite cuisine and nightly entertainment. 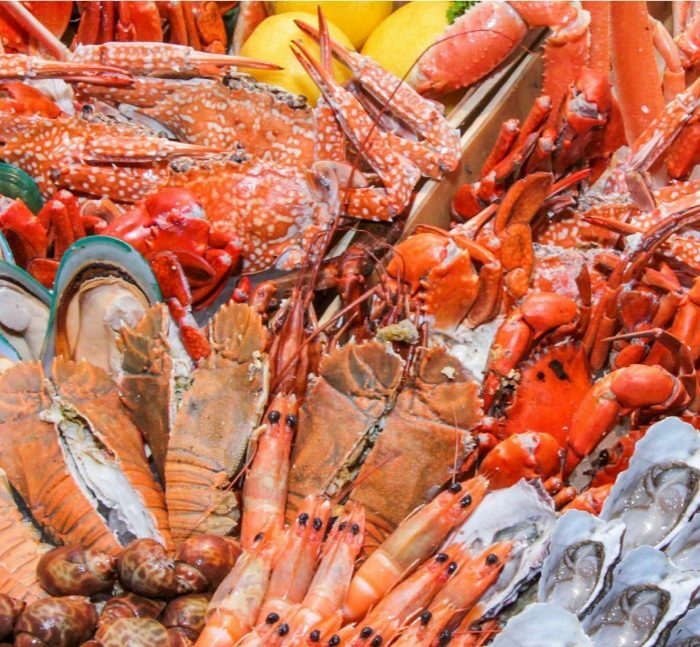 Cuisine Unplugged, the best seafood buffet hotel in Bangkok, featuring succulent crabs, prawns, rock lobsters, oysters and NZ mussels served alongside a mouthwatering BBQ buffet with a wide variety of seafood and meats! Aside from seafood, guests can enjoy dishes from the four corners of the globe inspired by Chinese, Japanese, Asian and French cuisine in our Grand Buffet. 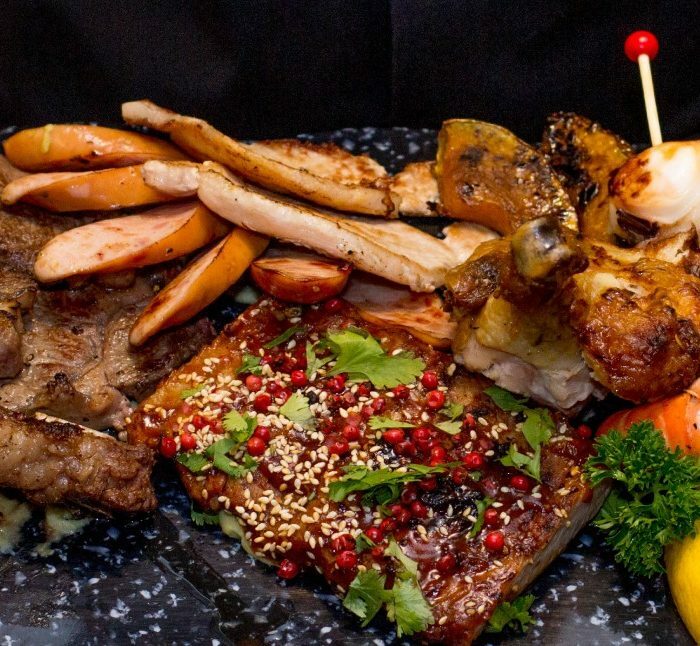 This means guests can enjoy suckling pig, sashimi, shrimp tom yum and many local delicacies in one meal at our hotel in Bangkok! The Glen Bar is the stylish destination bar in Bangkok with mezzanine, live music performances and a wide choice of signature drink by our resident mixology expert. The Pool Bar is a great place to unwind and relax with your favorite drink, light snack or ice cream. Finally, Chef Goji Kobayashi will create an unforgettable culinary journey at Tenko, the best Japanese omakase restaurant in the city and the ultimate private dinner experience.